I'm not that excited about the new Oz movie. Like, at all. Sure, I loved the 2010 Alice In Wonderland and Disney is blatantly trying to capitalize on the charm of that film. But something about the pushiness of their formulaic marketing has been a turn off for me. 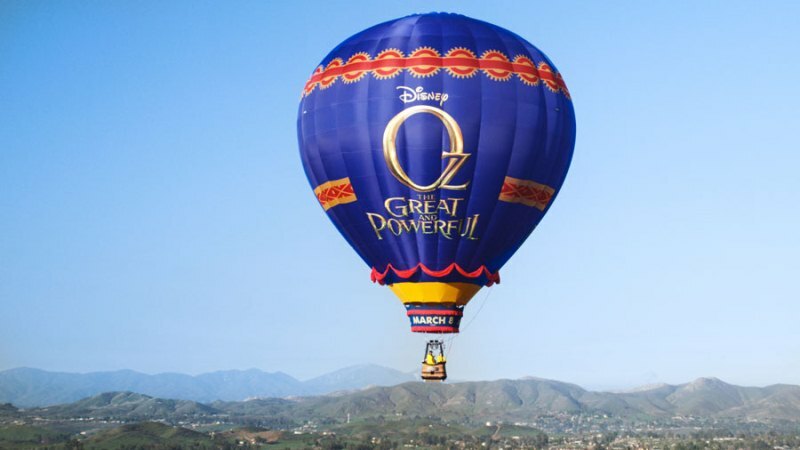 One bright spot, in the otherwise dull campaign, is the launch of a promotional hot air balloon touring the country leading up to the release of the film. Not only is a giant ballon a rare sight (for most people anyway...especially considering it will be in Central Park at one point) but it also ties into the movie brilliantly! The balloons first stop is the premiere at the El Capitan Theatre, followed by Disneyland, before making its way out west. Disney is keeping quiet about a gem released on YouTube this week: the first full-blown trailer for Pixar's Monsters University. The film, releasing June 21, will tell of Mike and Sulley's college days, long before they were the most dynamic scaring duo Monsters, Inc. had ever seen. The trailer debuted on Walt Disney Studios' UK YouTube account, and as such hasn't had any buzz from official Disney social media based in the US. It's unknown whether a completely different American trailer is on the way, if the UK trailer will remain basically the same for its US push, or even why American Disney sources are staying mum about it. We haven't heard anything out of Monsters University since the teaser dropped back in June, so this new trailer is a welcome treat. I, for one, can't wait to enroll. As Disneyland Paris is my ‘home’ park nowadays, I thought I would report with some of the latest news from the beautiful European theme parks. 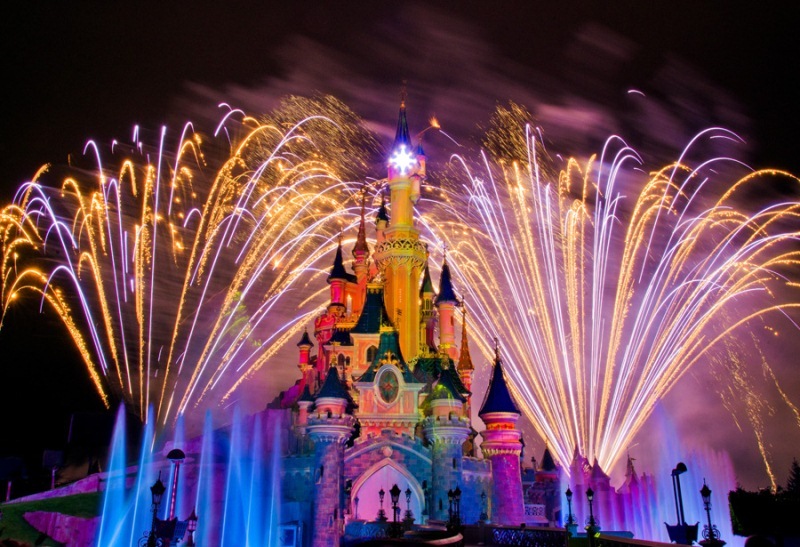 Parc Disneyland is currently celebrating its 20th Anniversary (now extended until 30th September 2013), and as part of the celebration the beautiful Castle show Disney Dreams! was introduced. It has just been announced that there are going to be two additional scenes to the existing Disney Dreams! show: The Lion King and Brave. I, of course, am very excited for this addition of Brave! Although there are rumours that the parts that will be replaced is Mary Poppins (currently ‘Step in Time’) and Jungle Book (‘I Wan’na Be Like You’). If you are visiting Paris before the end of March 2013, however, you should still be able to see these existing segments, before the new Simba and Merida parts are added. If you've been a Walt Disney World fan for any length of time, you've probably heard your fair share of monorail rumors. They're getting new trains. They're going to expand the line to include every deluxe resort. They're going to expand the line to include every resort and Downtown Disney. While I admit that it would be extremely awesome for those things to happen, it's pretty unlikely that those things will happen. However, the newest rumor that I've heard is a lot more plausible. There are rumors that the WDW monorail system will get a $75 million overhaul over the next two years. The main part of this overhaul will include making all of the trains fully automated. There will still be "pilots" on board the trains, but they will act more as attendants to monitor the functions of the train as opposed to actually piloting the trains. In addition to that, the control of the trains will now belong to operators inside the station as opposed to the pilots. These operators will decide when to close the doors and when to launch the trains. Perhaps the most interesting detail of the rumors is that each one of the lines will reverse course. The express loop will now travel clockwise moving from the TTC past the Polynesian and the Grand Floridian resorts before unloading at the Magic Kingdom. The resort loop will travel counter clockwise moving from the Magic Kingdom to the Grand Floridian, the Polynesian, the TTC, and the Contemporary. Lastly, the Epcot loop will now also travel counter clockwise which means instead of traveling through the park before arriving at Epcot, you'll travel through the park on your way out of Epcot. All of this is being done with safety in mind. By switching the direction of the trains, all track switches will happen with the trains traveling forward as opposed to backward, which was a contributing factor to the tragic monorail accident in 2009. As with any rumor regarding Walt Disney World, and especially the monorails, take this information with a grain of salt. Having said that, if this overhaul actually happens and it not only increases the safety for guests and cast members in addition to providing the WDW monorails with some much needed TLC, then I'm all for it. 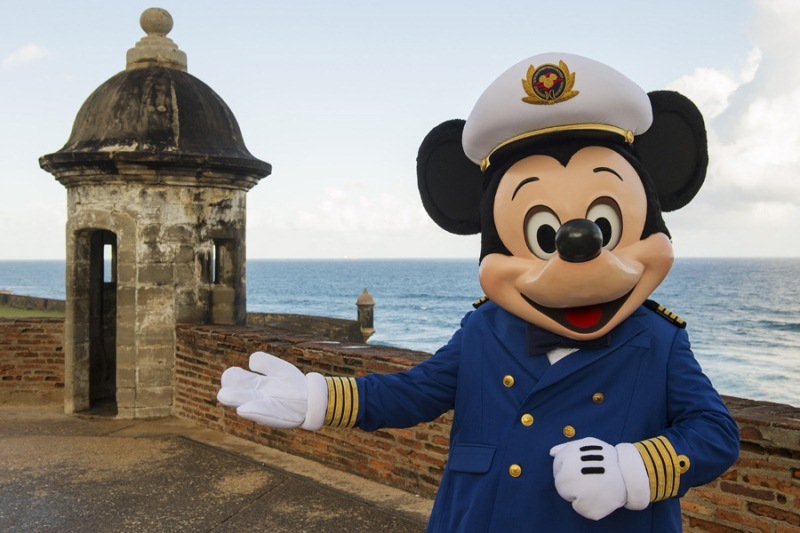 I love that the Disney Cruise itineraries are always expanding (sadly with a price that is forever increasing too), even if I was hoping for another announcement that one of the beautiful ships was taking the journey back to New York. Oh well, there’s always 2015. Or I could write a super adorable complaint letter like this young child did when it came to his cruisin’ experience. This bit of news didn’t make any headlines, but there were those out there who noticed that Robert Sherman was not part of the In Memoriam section at last week’s Grammy Awards. Robert and his brother Richard, collectively known as the Sherman Brothers, crafted the music that would become the soundtrack to generations of children. Many of these were tracks laid down for Disney animated films, live action features, and park experiences, but their reach was, and continues to be, far beyond just the Disney canon. Included amongst his individual and collaborative awards, of which there are far too many to list, are a Grammy Award (1965 Best Original Score for a Motion Picture – Mary Poppins) and two other nominations (1972 Best Original Score for a Children’s Show – Snoopy Come Home and 1974 Best Original Score for a Musical Show – Over Here!). With a musical legacy more than a mile long, Robert Sherman is not a name that should have been forgotten by an organization that once bestowed one of their prestigious awards upon him. It may seem a bit morbid to wish to see someone included in an In Memoriam segment of an awards show, but with his passing, it is only fitting that his lifelong passion and achievements be included amongst the other legends of the music industry and it is disgraceful that such a luminary was forgotten. There may not be any way for the Grammy Awards to make amends at this point in time, save a public apology, but I hope that they take a look at their review process for such portions of their awards show to stem the likelihood of further slights in future programs.